The diamond is probably the most recognizable of all gemstones. It is the gemstone for April and for tenth and sixtieth wedding anniversaries. Diamonds were first mined in India at least 3,000 years ago. Today, 90% of diamonds are cut and polished in India. South Africa, Canada, Russia, Brazil and Australia are leading diamond producers. The popularity of diamonds escalated in the 19th century as a result of an increase in supply, improvements in cutting and polishing techniques, growth in world economy and innovative advertising campaigns. The most successful and well-known of the advertising campaigns is DeBeers' A Diamond Is Forever first launched in 1947. This campaign popularized the use of diamonds in engagement rings and fostered a demand for diamonds. Interestingly, one of the first occurrences of a diamond being used in an engagement or wedding ring was in 1477 when Maximilian I, Archduke of Austria, was married to Mary of Burgundy. Diamonds are the hardest gemstone in the world. In fact, the word diamond comes from the ancient Greek word "adamas" meaning unbreakable. This hardness makes diamonds suitable for everyday wear as they are resistant to scratching. The high dispersion of light, which gives the stone "fire", makes diamonds so very desirable for jewelry. However, only 20% of all diamonds mined are considered to be gem quality. The other 80% are used for industrial purposes. 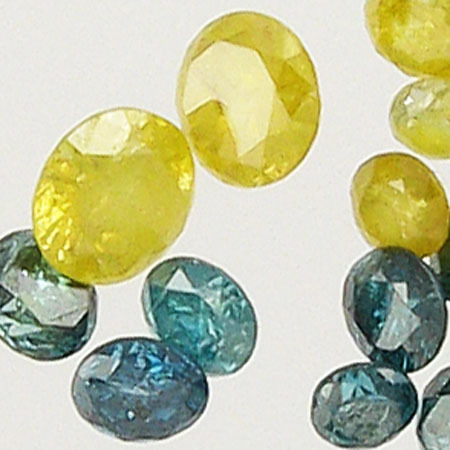 While the white or colorless diamond is most familiar, diamonds also come in reds, pinks, blues, greens, yellows, browns and even black. 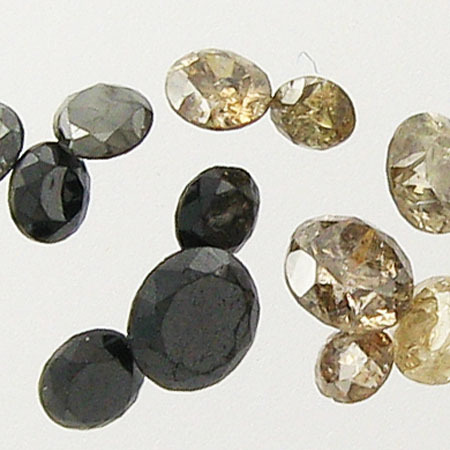 Of these colors, yellows and browns are the most common, with brown being marketed as champagne or chocolate diamonds. In some cultures, black diamonds are used in mourning jewelry. Synthetic diamonds are made in a laboratory, but have the same chemical and optical qualities as diamonds created in nature. Diamond simulants are stones, manmade or natural, which simulate the look of natural diamonds. Cubic zirconia (CZ) and moissanite are the most well-known of the manmade diamond simulants. White zircon is a natural gemstone which has fire similar to that of a diamond. ​Dumortierite is typically blue or violet. It is named after Eugene Dumortier a French paleontologist. Dumortierite is considered to enhance organizational abilities and self-discipline. It is believed to release fear bringing courage to one's life, and to boost creativity and expression. 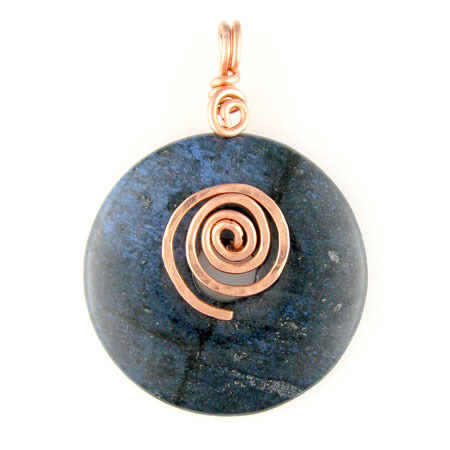 It is sometimes confused with pricier lapis lazuli or sodalite.